The following information will hopefully give some editorial background to the show as well as how it is run. A Press Release is available upon request. If you have press or media enquiries please email us. 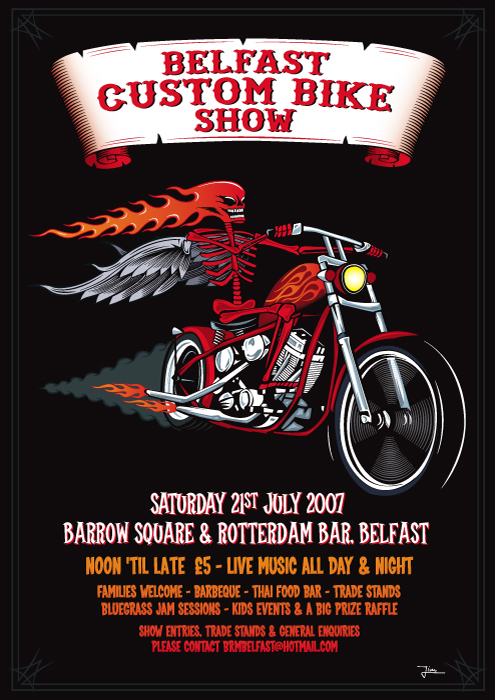 The Belfast Custom Bike Club is a recently formed local motorcycle club, set up in October 2005, to celebrate and actively promote the culture of custom motorcycles, and to found and organise an annual custom motorcycle show. (These are motorcycles that have been tailored to individual tastes and styles, and many, though not all, are the most famous motorcycle of them all, the legendary Harley Davidson.) 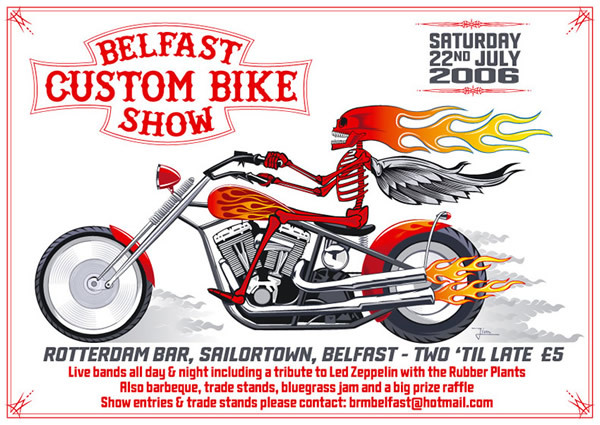 The Belfast Custom Bike Club is a not-for-profit voluntary organisation and a registered company limited by guarantee. 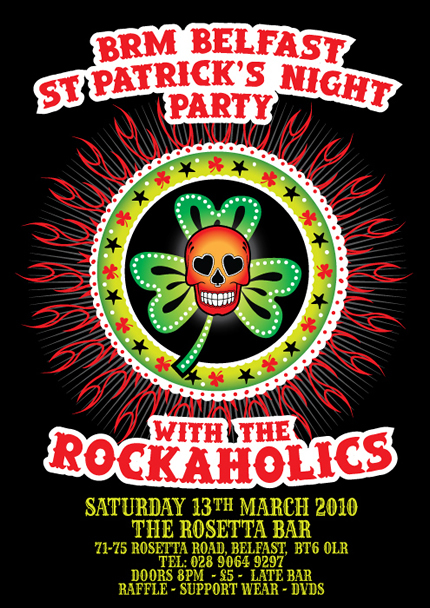 The club meets monthly and has five committee members including Chair, Vice-Chair, Secretary and Treasurer, as well as a large number of volunteers who actively help in the promotion and staffing of the event. 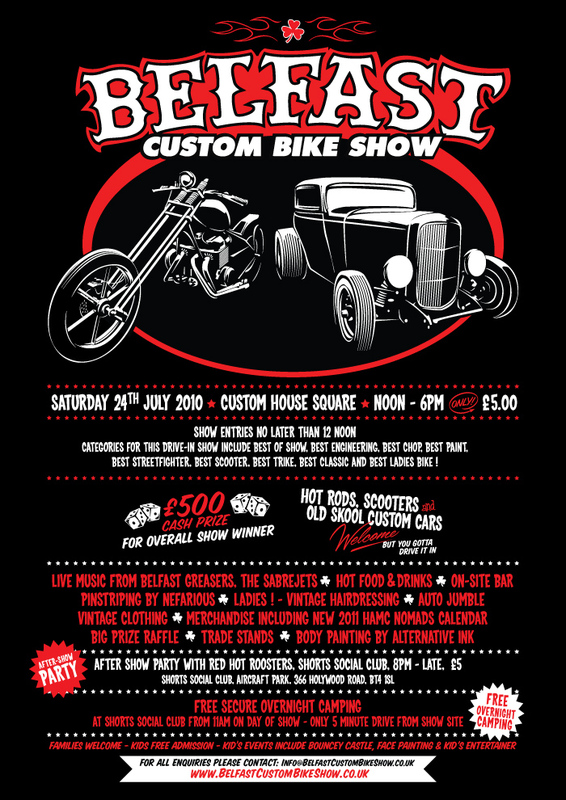 Northern Ireland has a strong and historic association with all types of motorcycles, including motorcycle racing, illustrated by the popularity of local legend Joey Dunlop, and the international reputation of the Northwest 200 races and the Ulster Grand Prix. 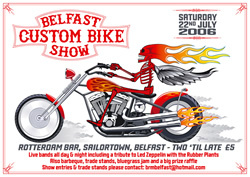 Many thousands of enthusiasts travel annually from Northern Ireland to attend the TT Races in the Isle of Man. However, there is also a significant interest in custom motorcycles that has not been developed to date. 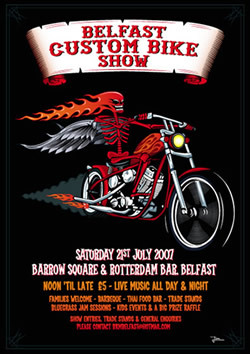 The Northern Ireland Harley Owners Group has more than 300 members, and there are many more people who own and actively ride Harley Davidsons and custom motorcycles. 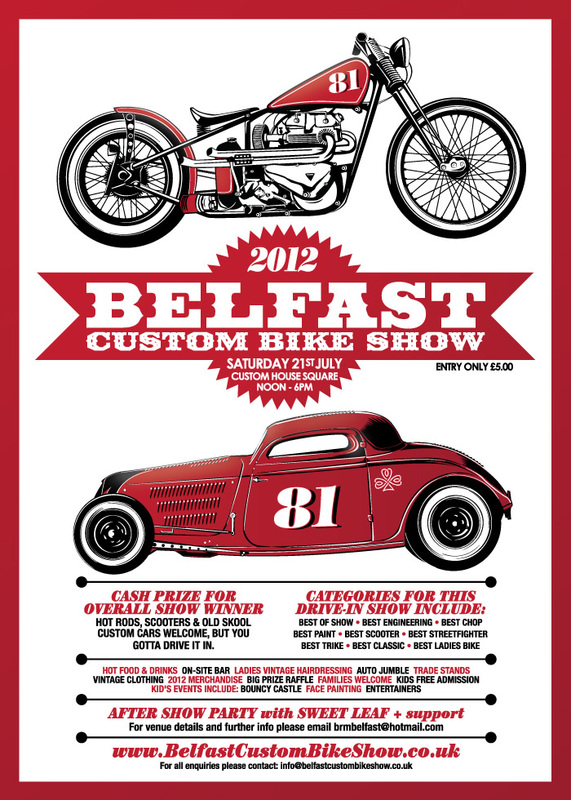 The Belfast Custom Bike Club was set up to fill an identified niche in Northern Ireland ie. 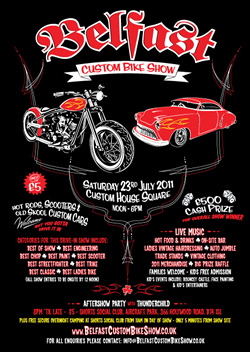 to create a Custom Bike Show that will bring together enthusiasts of custom motorcycles, their families and friends, for an annual social gathering that will centre around a series of awards for the best motorcycles in various categories. 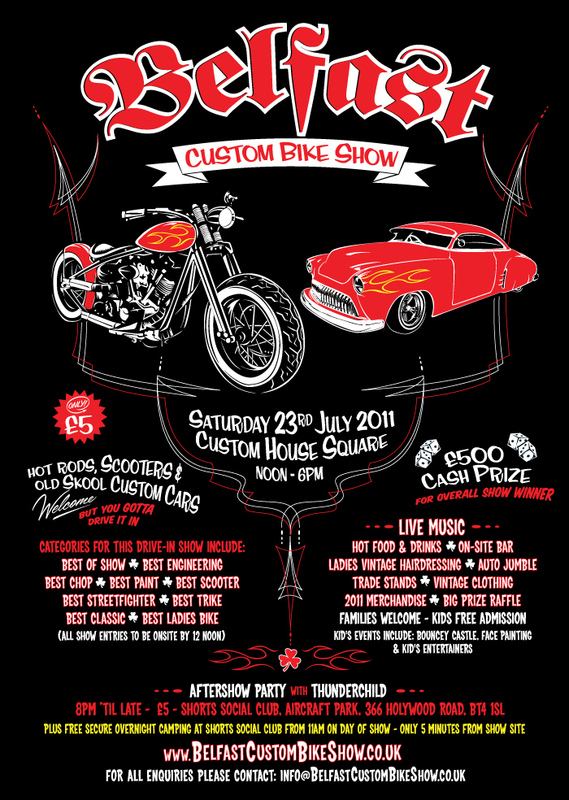 The Show will bring together motorcycle enthusiasts of all ages and genders, and from all social, economic and cultural backgrounds. In its first year there were a significant number of visitors from throughout Ireland and the UK. However, the potential for this event is enormous – in the next few years it could grow to attract audiences and participants from all over the world. 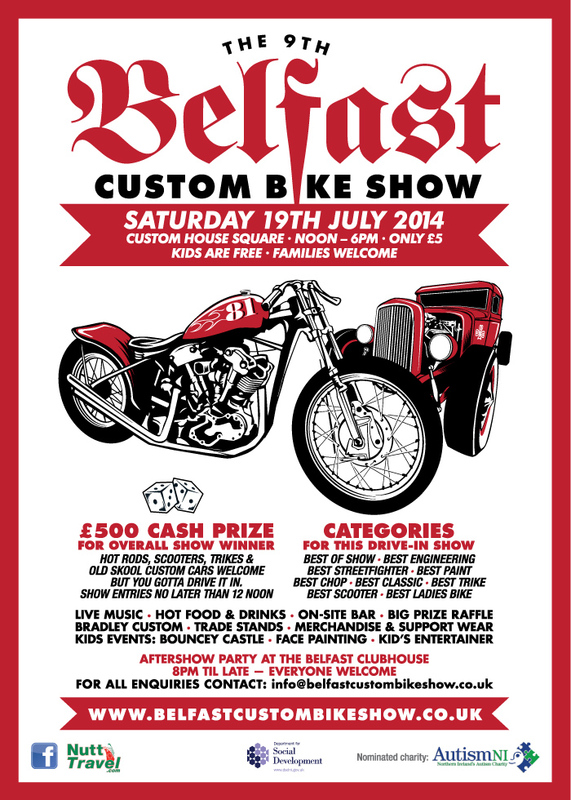 Members of the Belfast Custom Bike Club work with and support other motorcycle clubs eg. members and friends of the club recently took part in a motorcycle charity run from Ballygowan to the Children’s Unit at the Ulster Hospital in Dundonald, and helped raise over £900, plus hundreds of toys, for the unit. 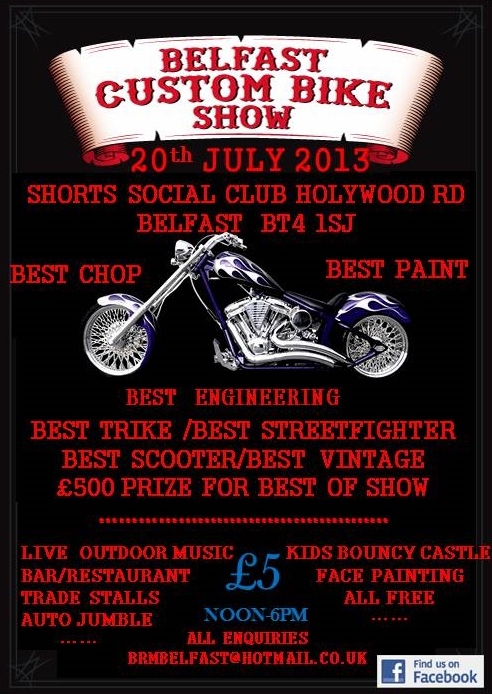 There will be a major collection at this year’s show for a designated local charity. Please contact us for further information. 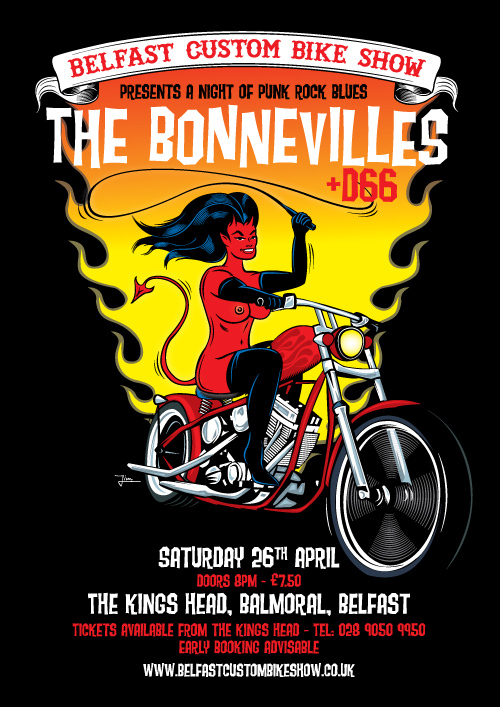 Over the forthcoming months the Club plans to run events to help promote the club, including high profile fundraising events in various venues throughout Northern Ireland. 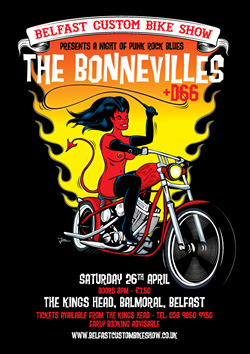 Please check out our events page for further details.